This study, “AUTOMATED DEPARTMENTAL COURSE ALLOCATION AND TIME TABLE” contains concise information that will serve as a framework or guide for your project work. The project study is well-researched for academic purposes and are usually provided in complete chapters with adequate References. Over the years allocation of course, their credit units and departmental timetable have been growing from one stage to another and similarly, the procedures and routine embarked on every semester coupled with the departmental growth compounded the problem of manual allocation of courses their units and thereby delays the registration procedures because some students paying extra fees as payment that is demanded in addition to the usual charge for registering their courses late, as late payment but computerization or automation of courses, their credit units allocation and departmental time table provide the most effective reliable and quickest services required by the students. Basically, before the invention of computers, computation were done manually, but in the case of the departmental course, their credit units and departmental timetable, computer has caused accelerated progress especially the automation of departmental courses their credit units and departmental time table. Computer technology has been accepted as an indispensable innovation in most fields of human endeavour in which departmental courses is not an exception. Hence, the efficiency of an organization or establishment would be achieved if they embark on computer-based system. However, using an automated system in place of the manual system, a change that is going on in Adekunle Ajasin University departmental course registration procedure. It will make the practical insinuation of high technology. This will enframe the time needed for processing of departmental courses and attend to other subsequent information needed by the management system. The importance of this research is so prominent with the current of processing the departmental courses and suggest a complete efficient and reliable approach that will be of immense benefit to most higher institutions in general especially to Adekunle Ajasin University, Akungba-Akoko. Actually, this would go a long way to improve their services by exposing and creating awareness of computer applications. Since established in 1999, Adekunle Ajasin University comprises of six schools among which is the school of science (which house the Computer Science Department), the other schools have problems, One of which was late allocation of courses and credit units to enable the students finish their registration process and have foresight of what the semester would look like. It was studied and discovered that automation of departmental courses and the manual system of allocation of courses, their credit units usually waste a lot of time and paper even pen can be reduced on the process of arranging it and also improve upon removing such problems. Below are some of the problems in this system. 1. It delays students’ registration process. 2. It results to high cost of data processing each semester. 3. It wastes much paper and make filling of form cumbersome. 4. It delays other departmental duties that are also important. 5. It results to inefficiency of course allocation. Because of these setbacks, computer science department has continued to leave activities untended to by the head of department because of volume of work left for him to do alone. i. The high cost incurred by the management in buying of papers, pens, pencils, makers, measuring ruler etc the clerical duties involves in course allocation and department time table will be reduced drastically because the hard disk, floppies, tapes would be used instead of the above mentioned. ii. The time involved in allocating and re-allocating which normally results to delay will be reduced. iii. Students would then utilize their time efficiently during the registration of course. iv. Automated System would also serve as a reference file for the students and staff since the course, credit units, time table and lecturers in charge of all. 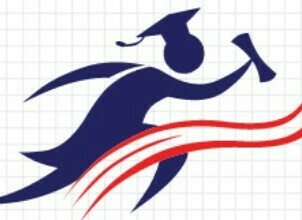 v. The research work is also significant because it is based on the award of Master Degree in Information Technology to the researcher however, its significant can only be envisaged better when it is implemented, evaluated, and maintained to be running in the computer, such as in computer Science Department, from where other departments can follow. This study is aimed at finding out how the use of automated system can help in course allocation in the computer science department of Adekunle Ajasin University, Akungba Akoko. v Finance: Fund for running around for the data required was in short supply and consequently hindered further research. v Time Constraints: Due to the required completion time of this research work, it was not possible to extend the research to other departments. v Complexity: Meanwhile extending the research to all department within the institution would lead to complexity and complication resulting to unreliability of research. Adekunle Ajasin University was established by Chief Adebayo Adefarati in 1999 which has a retrospect effect from 2nd September, 2001. Its location is the former premises of Oroke High School, Akungba-Akoko, along Akungba – Ikare Road, Akungba-Akoko, Ondo State. The degree programme commences in the year 2001 while the Masters and P.hd programme commenced in the year 2005. The schools are made up of Departments, which offers various Degrees, Masters and diplomas programmes respectively. The department of computer Science, a sub department of school of science offers various courses leading to Bachelor of Science programme to its students. Hence, the department of computer science is chosen so that any successful achievement records on this work (research) can easily be transferred to their departments within the institutions, the staff of the department comprise of the following.